Who is the Pensacola Opera Chorus? 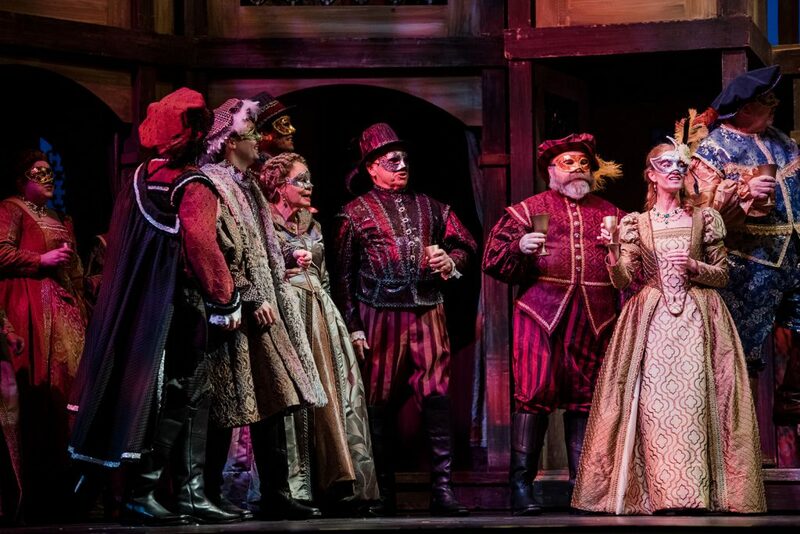 The Opera Chorus is a group of enthusiastic volunteer performers, who join us for mainstage productions, community events, and concert productions throughout the season. We have members of the Chorus who have sung in over fifty productions, as well as new members joining us each year. The Opera Chorus is a vital part of every mainstage production, serving as a large group of singing actors, interacting with the principal artists, and promoting our performances throughout the community. The role of the chorus in any opera production is one of the utmost importance. These singers take part in many scenes, interacting with the principal characters and setting the tone for the entire cast. Many of opera’s most beloved titles feature large ensemble sections, such as the “Anvil Chorus” in Il trovatore or the Brindisi in La traviata. In addition to their vocal forces, the chorus also serves an important role in creating action on stage. 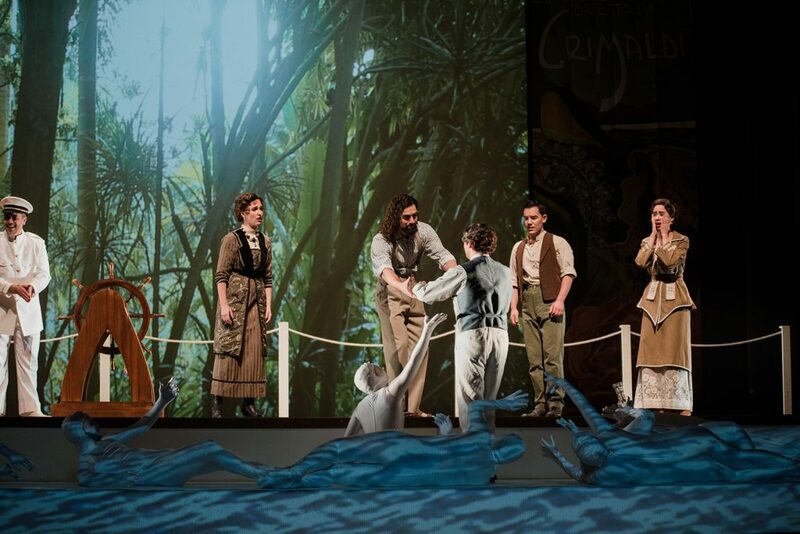 For example, Pensacola Opera Chorus members recently created a stunning river effect in our 2019 production of Florencia in the Amazon, even when they weren’t singing! In addition to their work on our mainstage productions, the Pensacola Opera Chorus also participates in a bustling series of community engagement and volunteer opportunities throughout the year. They regularly serve as holiday carolers in December, as well as appearing alongside the Artists in Residence at “Pours & Encores” events in bars and breweries around town. Our Opera Chorus is made up of a wide variety of people, who come to us from all around the area. These are people who love to sing and are great team players. While we do add new members to our ranks every year, we also have a few dedicated Opera Chorus members who have performed in over fifty productions! Auditions for the 2019-20 Opera Chorus will be held in mid-September 2019. Check back here or on our Auditions & Employment page for all of the details in August 2019. For more details about the Opera Chorus, you can also reach out to Mary Poss, chorus manager, at mary@pensacolaopera.com.